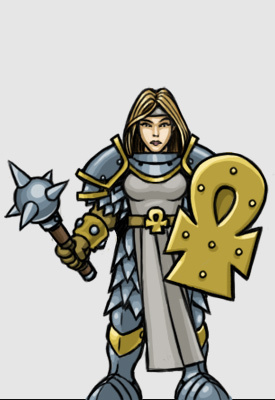 In the world of Card Hunter, nine adventurers seeking fame, glory and power. 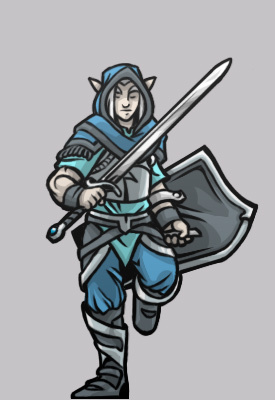 Bethan of the Icy Rage, Elven Warrior. He is known for being completely merciless, hunting down foes to the last child. It is said that his forest was burned when he was a child, but that has never been confirmed; regardless, he is not known for a rich sense of humor. Sister Verity Cornwall, Human Priest. Verity has never risen in the church hierarchy due to her tendency to see every challenge as an enemy who must be defeated and shamed. Unfortunately, she tends to treat both minor and major threats with the same ferocity, as her social rivals have discovered to their peril. The church tries to keep her on the road adventuring as much as possible. Rumor has it that she relies on demonic assistance in battle, but that has never been confirmed by a living witness. Adze the Lonely, Dwarven Wizard. Rumor has it that she sacrificed her own brother to dark forces in order to increase her personal might. Whatever the truth, Adze specializes in brutally effective magic items of fire and electricity. She’s been known to clear a dungeon of monsters by herself, blasting a swathe of charred flesh across the battlefield while her friends stood by and laughed. 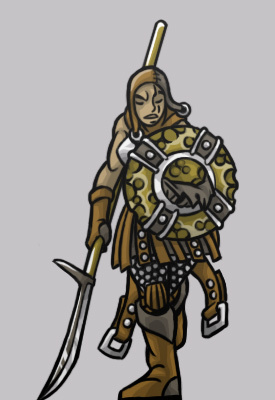 Skarn Elkinford, Human Warrior. Sometimes known as “Turtle,” Skarn selects more cautious attacks that keep her safe and sound. She kills her enemies slowly, remarking on their pain as she stretches out their agony. Skarn is not a particularly nice person. 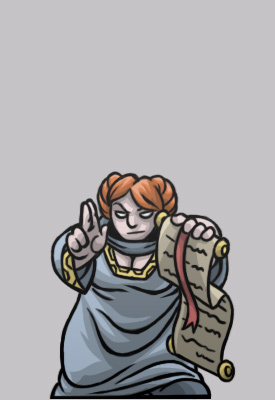 Dzedd Grimsong, Dwarven Priest. 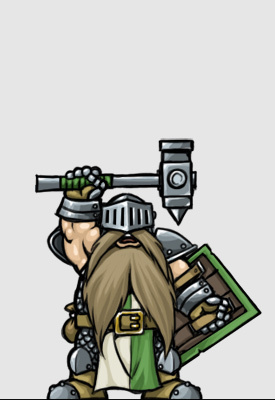 Sings the dwarven anthem of death as he fights, calling on the lost Gods of the dwarves to aid him in his battle. 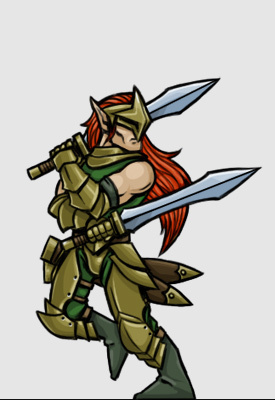 A defensive combatant, he favors heavy armor and is remarkably hard to hurt. Idris of the Haunting Horn, Elven Wizard. 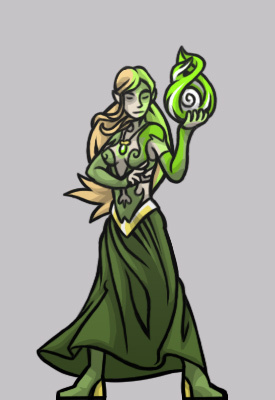 Born in the ghost-ridden village of Banshee’s Tree, Idris still carries the spirits of her ancestors with her. She is convinced that they intervene to keep her alive, and when her time finally comes the ghosts that surround her will carry her back to her home village to further haunt the living. 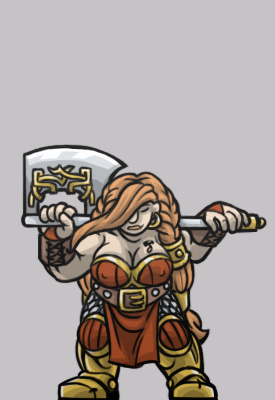 Tashira Axeflame, Dwarven Warrior. Originally driven from the dwarven lands for being a female dwarf without a beard, she has set new fashions amongst the female dwarves who now openly flaunt their hairless chins. Tashira’s exploits are known throughout the lands as a bold, inquisitive adventurer. Padrig the Impious, Elven Priest. Padrig is a wine-swilling dirty fighter who is happy to use his religion to win fights, even if he has to cheat to do so. His church pretends that he isn’t actually connected to them, and other elves consider him something of an embarrassment. Dwarves, however, tend to love him. Oberlin Ninetower, Human Wizard. Haughty, spoiled child of rich parents, well educated, and forced out into the adventuring world after being disinherited. He dislikes inconvenience and ensures his safety through creative offense. These are some of those who have ventured into the world of Card Hunter. Of course, you are free to make your own way rather than following their paths! 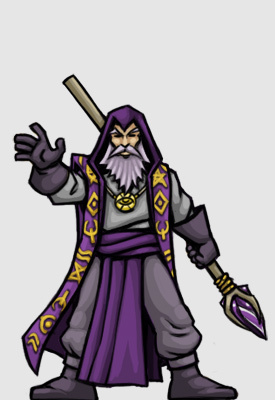 These are all figures you can use to make your own Card Hunter characters. Please let us know in the comments, or the forum, who of these you like the most (or the least). So, i know before you had a rouge class that you guys are still working on. When the beta comes out, will the rouge class be ready during or after the beta, from your best estimation? Also is their a posibility of other classes being released later similar to DDO or Leauge of Legends F2P format where new classes and champions are made every now and again. also on a side note, would like it if the female warrior showed her hair. Love the descriptions and artwork guys, especially the quote for Bethan. I lolled. Nice! @Zan – I’m guessing that the rogue probably won’t be in the initial release of the game. At this stage we’re more concerned with trying to get the game to you guys than we are with adding more content. That definitely leaves us open to adding that class (and others) once the game is out though. As always, thrilled to see a new update on fb! Even the elves are badass! I like it. Hey again, one question: Will picking any combination of three characters of these result in a party that, if played and equipped well, can beat adventures? How do you pronounce “Dzedd” :)? Skarn all the way! “Kills slowly” sounds like poison laced weapons, but relatively low damage cards in his deck? Then again Bethan was featured to be fast in the earlier blogs. I haven’t even read this dev diary, but I can already say I love it! Just looking at that amazing artwork makes my jaw hit the floor. I’m so excited about this game! @Woitee – yes, the point of the game is to put together parties of different combinations of class and race. I can remember reading Katherine Kerr’s Devery series. It had a pronunciation table at the back and if I remember correctly “dd” was pronounced “th” The series was something like 12 books long so now every time I see “dd” I automatically read it as “th” ie. his name is Zeth to me now. Pugs, I suspect the author got some inspiration from the Welsh language, because that’s how you’d pronounce “dd” in Welsh. Of course, it’s a voiced “th” like “the” or “this”…not unvoiced like “thing” or “thick”. Hey Jon, When do the gameplay vids show up? We’re working on a plan for doing some in game video now. I’m hoping when they put out the gameplay vid, some of the boardgame people over on youtube, such as the awesome WatchitPlayed, give them a shout out. Jon said ingame video guys, in the form of a tutorial I guess. I doubt you’ll see a youtube gameplay vid until after beta. It’s about the same thing though.